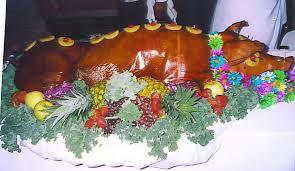 Luau Party and Pig Roast. Live Music & Hula Dancers. Dinner includes: Hawaiin Style Roast Pork, Chicken Long Rice, Poi & Tropcal Fruit Salad. $15.00 per Ticket Donation. 50/50 Raffel & Door Prizes. Proceeds & Donatiions going towards back Hall roof replacement from damage caused by our 2017 Hurricane Season. Hosted by your Friendly Post 92 Family & Friends. This entry was posted in Posts on February 1, 2018 by chris. My name is Chris Holden. I am the Commander for SAL Squadron 92. Any member of Post 92 (Post, Auxiliary, S.A.L, Riders) can have any number of guests come with them to enjoy our post. We look forward to your visit and I look forward to meeting your Son-in-law.